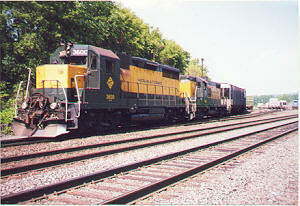 Housatonic #3600 GP35 and #7324 GP9 shuffling cars before heading underway to Canaan,CT All Photo's 1 of 4 taken by Paul Vallone June 1999. 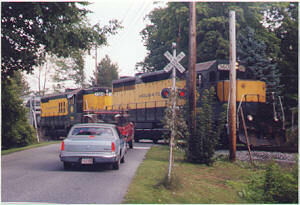 Housatonic making it's daily Saturday morning run to Pittsfield,Ma. 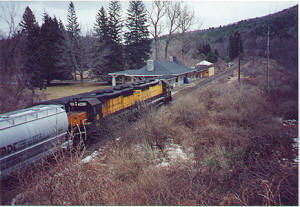 Passing by the Old Stockbridge Station which was serviced by the former NewYork,NewHaven&Hartford Railroad in the hay days. 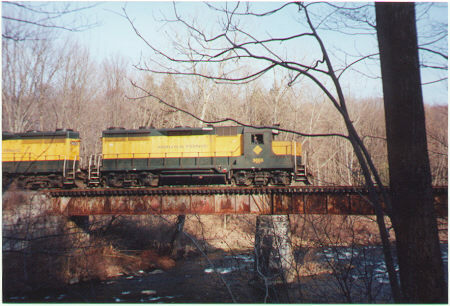 Housatonic RR crossing the bridge in Housatonic,MA . "1998"